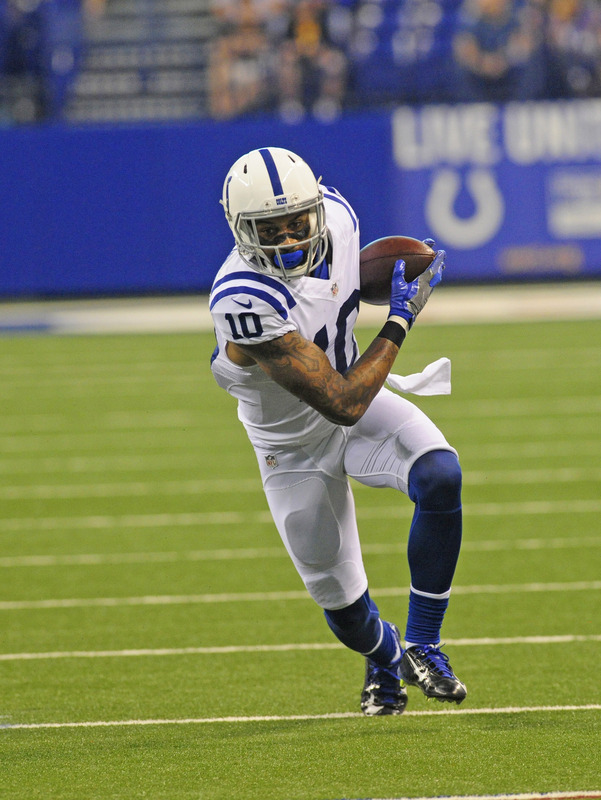 Former Colts wide receiver Donte Moncrief is staying in the AFC South. Moncrief will sign with the Jaguars, a source tells Adam Schefter of ESPN.com (on Twitter). He will earn a base salary of base salary of roughly $7MM, while incentives can bring the total value to $9.6MM, tweets Field Yates of ESPN.com. The addition of the 24-year-old will help to offset the loss of Allen Robinson, who agreed to a deal with the Bears early this morning. Moncrief will pair with Marqise Lee, who has been retained on a new deal, atop the receiver depth chart. Jacksonville could conceivably look to move on from one of their wideout, as they’re rostering 10 players at the position, including Allen Hurns, Keelan Cole, and Dede Westbrook. Word on Moncrief’s compensation is not yet in, but it’s likely to be a fat deal given the contracts given to wide receivers thus far in free agency. The 2014 third-round pick had a relatively quiet 2017 campaign, hauling in 26 catches for 391 yards and two scores in 12 games (eight starts). His best season came in 2015, when he collected 733 receiving yards and six touchdowns. Should’ve gone after Nelson instead.